In this video, you will learn how to turn Cold Traffic (people who don’t know who you are) into Hot Customers that want to buy your stuff. Video Ad Integration is a proven strategy that uses the 3 types of video campaigns to guide your target audience through the Customer Awareness Journey. Fifty percent of your target audience are unaware of their problem and your solution. 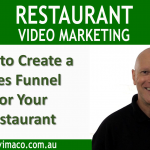 At this stage, you use the Brand Video to create awareness. You then retarget your viewers with your Cultivate Video. Here you provide them with the Why (Problem Aware), the What (Solution Aware) and the How (Product Aware). In your final campaign, you retarget your viewers with your Action Video. Three percent of your target audience are Most Aware and ready to buy. All they need is your offer which is presented to them in you Action Video campaign.